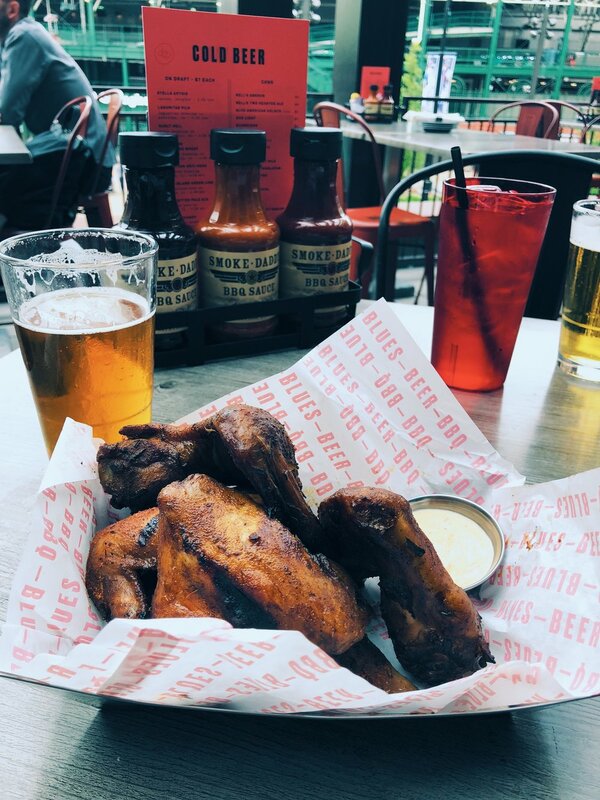 We stopped by Smoke Daddy's new location in Wrigleyville for a little neighborhood date night. 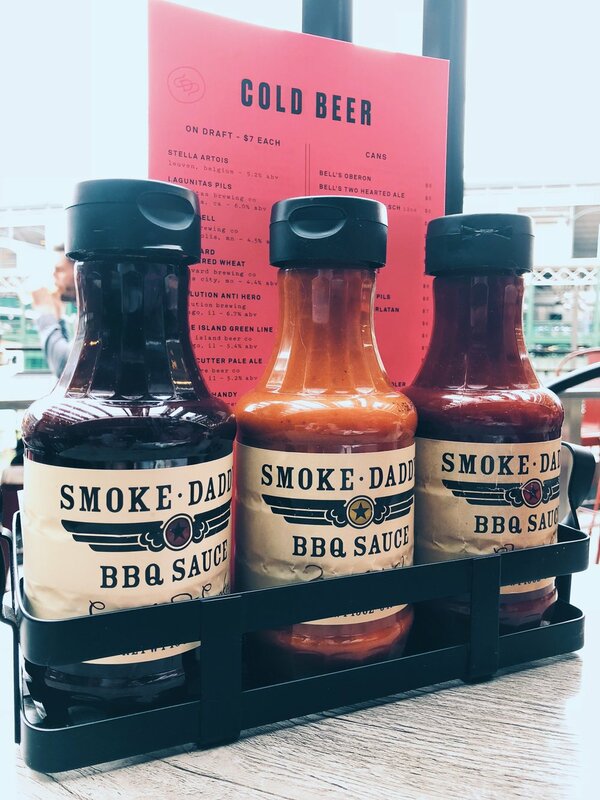 If you didn't already know, Smoke Daddy is one of the staples of Chicago barbeque scene. 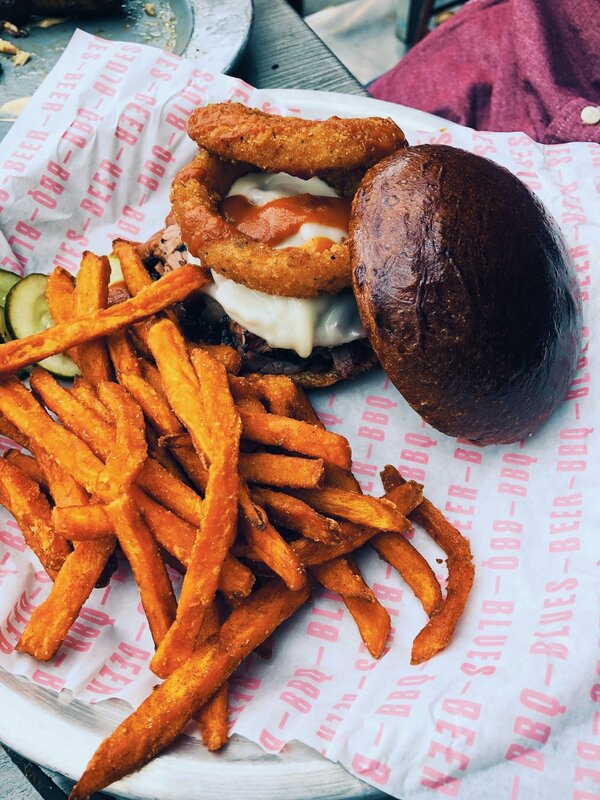 Everyone's been to the original location in Wicker Park that opened back in '94. Stepping into the cute two-story restaurant, we're greeted with windows fully open to the outdoors for a nice, refreshing summer breeze. Seated on the second level overlooking a farmer's market happening at Gallagher Way, we're also able to see incredible views of Wrigley. I can only imagine the experience on a game day with the crowds & the energy the Cubs bring. We ordered the pulled pork sandwich, chicken wings & the brisket sandwich (our favorite) and had more than enough to bring home for leftovers. In the restaurant dedicated to BBQ & Blues, there's a show 7 days a week. We enjoyably listen to a live band play as we dine and later learn that the owner of Lagunitas would be playing this weekend with his own band at the restaurant. Located at 3636 N Clark St in Chicago's Wrigleyville neighborhood. The OG location is in Wicker Park located at 1804 W Division St.